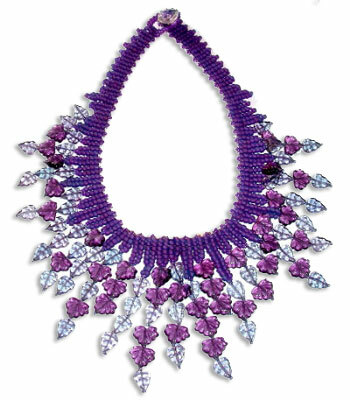 Ladder stitch and flat herringbone are combined for the beaded collar. Czech pressed-glass leaves form the cascade. Fabulous in fall or spring colors!